Four web-based, self-guided courses, with over seven hours of on-demand video. Use coupon code "GAROFALOUX" for a special discounted price. This course will explore hands-on techniques for generating and evaluating ideas, including methods that work for both individuals and small teams. Specifying key objectives to measure and gauge for success. This course will explore hands-on techniques for quantifying time spent on brainstorming, and identifying a common baseline for a new project or product. These methods work best in a group setting, for small teams. This course will explore several techniques for flushing out high-level design solutions for your projects and get inside the minds of your target audience. You will be empowered with methods you can immediately implement in your day-to-day work. Research methods to gain a better understanding of your target-audience. Design strategies for user-centered problem solving. This course will explore concepts for taking a user experience approach to working within an agile team or scrum team. At the end of this course, you will have a foundational / introductory understanding of the intersection between business, agile, and user experience, to give you a jump start to working collaboratively within an agile or scrum team. I've learned great techniques I can use in my job to better brainstorming of UX for our products. 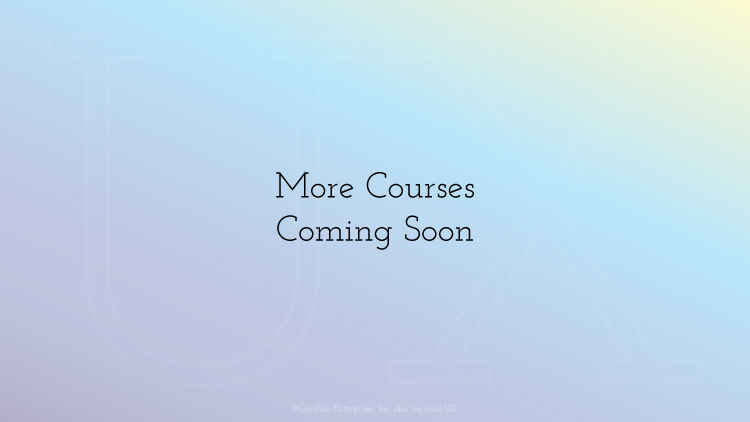 This course is essential for anyone who wants to develop a great user experience for their product or service. 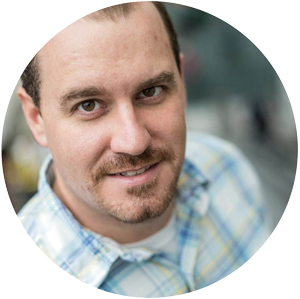 Through his employment background, Frank has been involved with design and user experience efforts on projects for Fortune 100 companies, US Federal agencies, and with budgets of over $12 million. Frank has managed a 35+ person department of User Experience Architects, User Interface Designers, Icon Designers, and Usability Research experts, at a billion-dollar software company. He started the user experience design discipline at Esri (a world-wide leader in geographic information systems). He has hosted and facilitated similiar design-centric seminars and workshops since 2011. Get serious about taking your organization to the next level. Private seminars and workshops are geared to transform innovation from a buzzword to an embraced-aspect of your organization's cultural DNA. Is your team stuck on a particular concept, strategy, design, or business problem? Our experts can work side-by-side with your team members, to help guide them towards a solution and push your project forward.